New member. Tired of Facebook’s censorship. 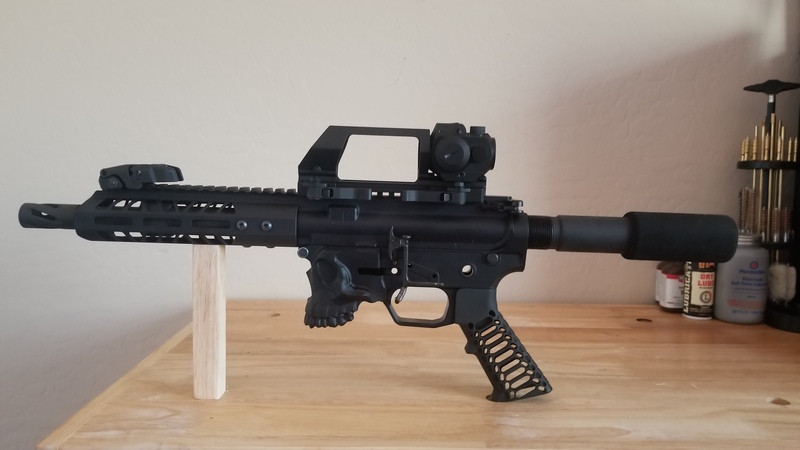 I have many builds but this is my current build in progress. 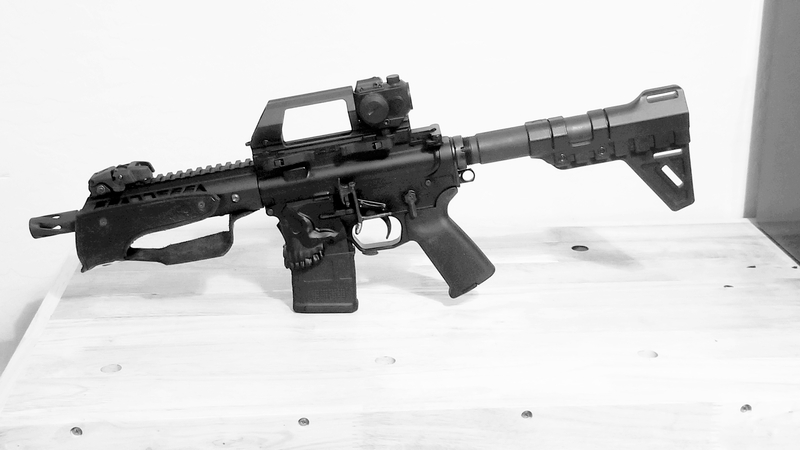 I really like that pistol grip! What kind is it? It’s from Valkyrie Dynamics but it only shows on Etsy.com. They’re not making them anymore and clearing them out through the Etsy.com website. Nice build. Interesting looking cary handle. What kind is it? And yes, taking a stand against censorship is admirable because it isn’t easy to get out of the “ecosystem”. Facebook is easy to use and therefor even so-called “principled” freedom loving 2A supporters aren’t principled enough to take a stand against the platform. 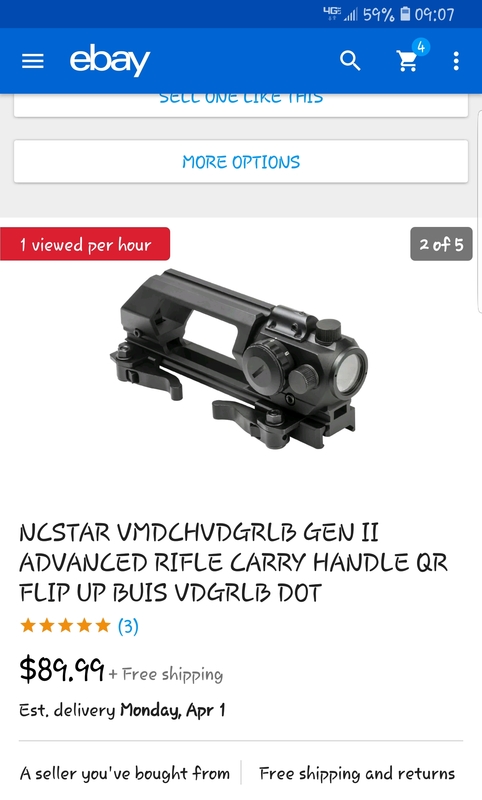 I found it in Ebay, although I also found it on other sites like Brownells, etc. For about the same price. In not sure if it’s still on Ebay… Its a green dot scope with a red laser atop. The carry handle has a groove along the top to cater the laser. A flip up site mounted in the front of the handle acts as a backup and it aligwith both the green dot and the laser. I added the front flip up sight. Have you measured the length of pull? That sure looks like more than 13.5”. Just don’t want you to get jacked up.